The Florida Department of Agriculture and Consumer Services recently confirmed the detection of laurel wilt disease in a Persea sp. from Manatee County. The location was approximately 3 miles west of Myakka City on SR 70. 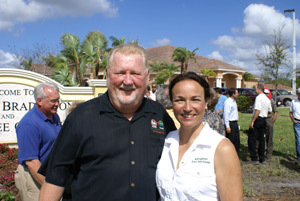 Biological Tree Services, along with founder and CEO, Tammy Kovar, works with the mayor in City of Bradenton Project.